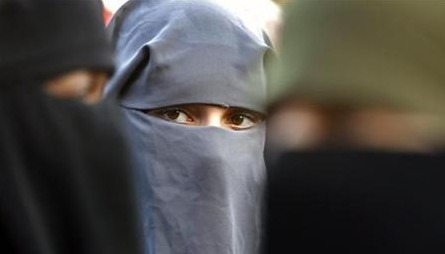 On May 31, a vote of 75 to 30 – with 74 absentees – by Danish lawmakers saw Denmark join several other European countries and Canada in banning garments that cover the face in public, including religious garments such as the Islamic niqab and burqa. The law, which was proposed by the country’s centre-right governing coalition led by Prime Minister, Lars Løkke Rasmussen, has come into effect on August 1. True to form, a mere three days later, on August 3, a 28 year old woman wearing a niqab in public was fined 1,000 kroner (£120), following which she was given a choice by the police officer to either remove the niqab or leave the public premises in order to avoid a reoffender fine of up to 10,000 kroner. She chose the latter. Denmark is by a great deal not the first country to adopt this controversial law; a ban that in many regards defies much of Western ideology, such as the freedom of expression. France, which has long grappled with a mounting tension between its Muslim population, Europe’s largest, was the first country in Europe to ban face covering garments in 2011. Violators of the ban can face fines of up to 150€. Belgium, which also has a large Muslim population, was quick to follow in France’s footsteps that same year, with similar fines. Bulgaria introduced the ban in 2016. October 2017 saw Quebec, Canada, join as the first region in North America to make it a crime to wear a face-covering garment in public. That same month, Austria introduced the law and lastly Germany adopted its own variation of the ban, albait softer, which forbids facial covering garments while driving. Women wearing niqabs and burqas were joined by dozens of supporters with makeshift face coverings who all took to the streets of the capital, Copenhagen, and Aarhus last week. As reported by the Independent, “The police did not fine the protesters, since under the new law, those who cover their faces while peacefully protesting are exempt from the ban.” The line is fine and blurry between national security, the desire to prompt cultural or religious integration and violation of human rights – especially when women are in turn the victim of laws on both sides that seem to have very little regard for true women’s rights. Navigating around the opposition or advocacy of the rise in ‚burqa bans‘ should be done carefully and with consideration to who it is protecting and who – most importantly – it is hurting. After Boris Johnson's comment on Muslim women a petition in the UK is calling for an independent inquiry into Islamophobia in major political parties. You can sign this petition here.